The Timpanogos Singer/Songwriter Alliance (TSSA) was formed in the early months of the year 2000 as an organization of artists working to strengthen original, authentic music in Utah Valley (and to some degree, the rest of Utah too). 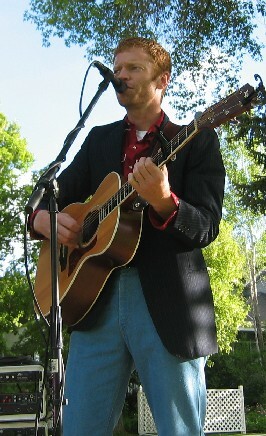 Initially a loose network of artists, fans, and volunteers, TSSA quickly put itself on the radar of the arts community and local leaders by succesfully organizing the music portion of America's Freedom Festival at Provo. Over the next decade, TSSA members produced several acclaimed compilation CDs, created a number of local concert series, and acted as a network in which local artists interacted and developed. By 2010 most of TSSA's volunteers and leadership had moved on to other projects. The organization is now inactive, but we're proud of the work we did that brought people together and more music into Utah communities.